Since opening in 2005 under Dr David Candler, Skin Alert Cairns has become a trusted name in skin cancer, serving Cairns and surrounding communities. Over time Dr Candler has expanded the services being offered to include cosmetic injectables, acne treatment, IPL and laser, skin needling, PRP and other dermal therapies. More recently laser treatments for snoring, vaginal rejuvenation and toenail fungus have been added. Dr Candler is excited to offer the Profound system to treat jowls, skin tightening, nasolabial folds and jawline definition. Visit our Profound webpage for more information! At Skin Alert we offer extended services to cater for the needs of the people of Cairns and surrounding areas. We are a busy Skin Clinic offering you the latest advancements and technologies in skin cancer and cosmetic treatments. 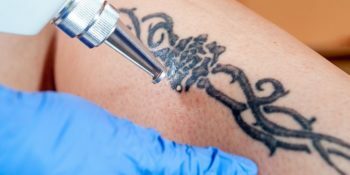 Mole removal is a common request. This may be because a mole is changing and there is concern about possible skin cancer. 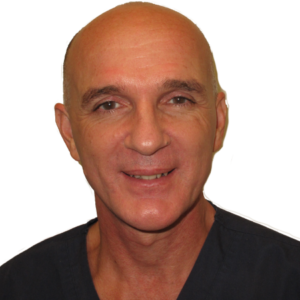 Dr David Candler heads up the team of professional doctors, nurses and dermal therapists who will look after you at your visits to Skin Alert Cairns. We aim to provide the highest quality of patient care and satisfaction when it comes to skin cancer treatments and cosmetic services. Our wealth of knowledge and decades of experience give us the skills to perform our treatments at the most advanced level. Regular skin checks can mean early detection and treatment for skin cancer, and good skin care advice can be the difference to preventing skin cancer in the future. Digital photographs are used to monitor moles of concern. 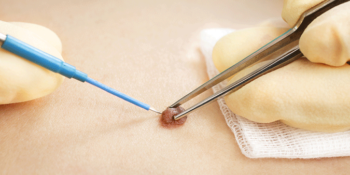 Even melanomas, found early, can be excised with very low risk of recurrence. Dr Candler has extensive experience with PDT (Photo Dynamic Therapy) with which some basal cell and squamous cell cancers can be treated as an alternative to possibly disfiguring surgery, especially on the face. No referral is required and our doctors are very experienced in skin cancer diagnosis and management. Specialist referral can be made, on the rare occasion that is needed. Dr Candler has a team of professional, qualified nurses and dermal therapists who can help identify your individual skin care requirements and make a personalised treatment plan to ensure the best results for you. We understand that every client is unique. We offer a no obligation, free initial consultation with one of our trained dermal therapists or nurses if you would like more information on any of the services we provide. During this time you can discuss what it is that you would like to achieve. We may use our computerised VISIA Complexion Analysis system to help us determine the best possible skin care program for you. When you feel completely informed and have agreed on your desired course of action we will make the necessary appointments and take care of everything else.